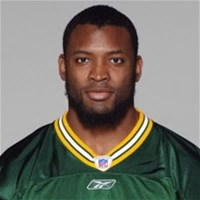 Join us on Sunday, June 11th to celebrate E3 with special guest host Ahman Green at Microsoft Store Westfield Century City. The in-store viewing event and Forza Motorsport 6 tournament will be hosted by the 4 time Pro Bowler and avid gamer who will mix and mingle with fans and be there to experience all of the exciting announcements coming out of E3. Then put your Forza skills to the test for a chance to win exclusive Xbox One prizes! Tournament participants must be 13 years of age or older. No purchase required. Open to players 13+, some restrictions apply. See store for full Official Rules. 1:00pm PST — Registration begins. 2:00pm PST — Event begins. 3:30pm PST — Event ends. Does the event cost anything? No there is no cost. What time can I start lining up? The line will open at 1pm. The first 32 in line can participate in the Forza Motorsport 6 tournament but everyone is welcome to come into the store and watch all of the exciting announcements out of E3. PRESS: Who should press contact to cover the event?